OYO Home 19139 Cozy 2BHK is located at Palam Vihar Road, Block B, Sector 2, Palam Vihar, Gurugram. It is just 20 minutes away from Moulsari Avenue (Rapid Metro) and MG Road Metro Station (Yellow Line). This cozy hotel offers living room facility with proper seating arrangements in the drawing rooms and the lobby. This lodge offers clean, ventilated and spacious rooms, with geyser fitted bathrooms. 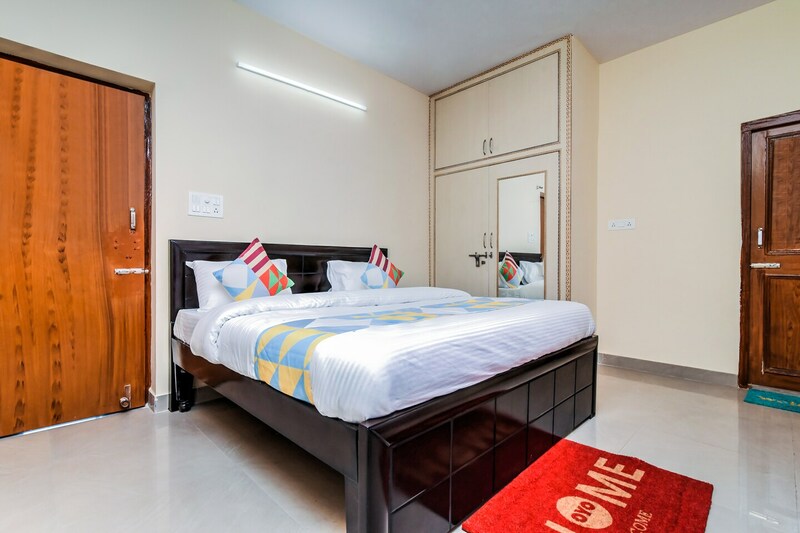 Additionally, Cozy 2BHK also offers television, air conditioner, mini fridge, power backup facility and kitchen facility to the guest. This place is close to many eateries like Shandaar Indian Restaurant, Swaad Restaurant, Pintos cafe, and Restaurant, etc. It is also close Leisure Valley Park (20 minutes away) and Fun N Food Village (21 minutes away).